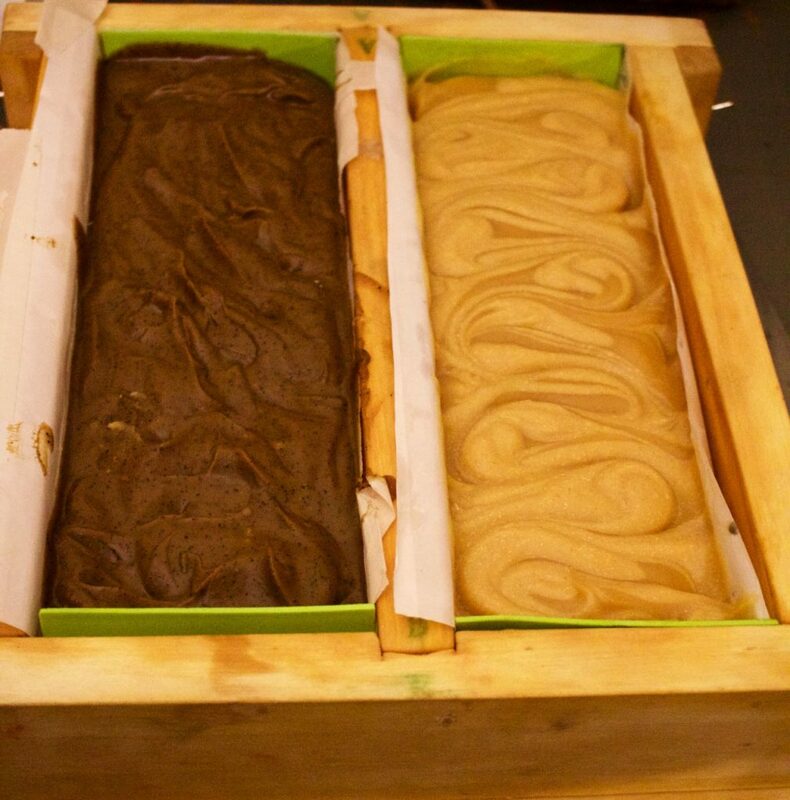 Three new batches of soap today. The first was a special request for unscented ‘hotel bars’ and then I decided that I wanted to experiment with two more unscented recipes. Here’s the first, a nice white coconut soap with coconut milk at ‘trace’. 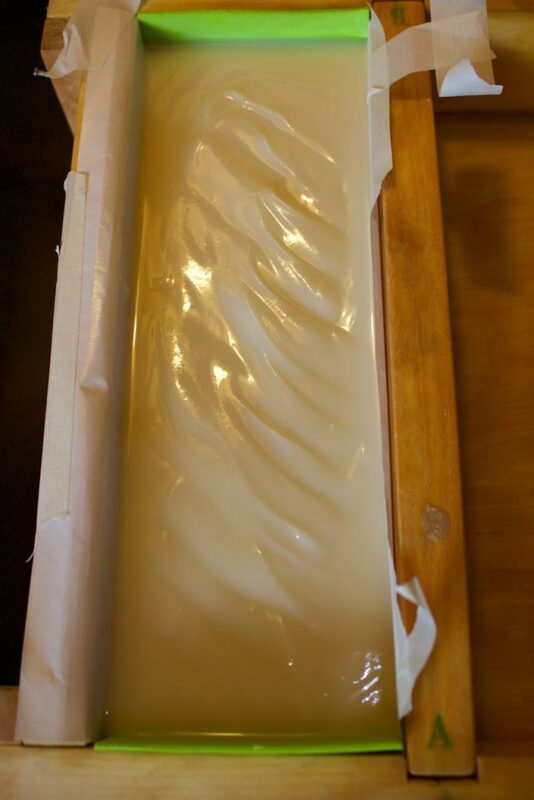 This is what the soap looks like when it’s ready to pour. It’s fully emulsified and has started to thicken up. I can’t take photos of the pour because I’m working by myself but here it is again all nice and tucked into the mold. The next two are a coffee-scrub recipe and a honey-oatmeal recipe. Both contain some vanillin powder which will darken the soap over time and I’m hoping that a bit of the scent comes through into the finished product. Here they are right after the pour. Over time I expect the colors on the oatmeal honey to reverse. 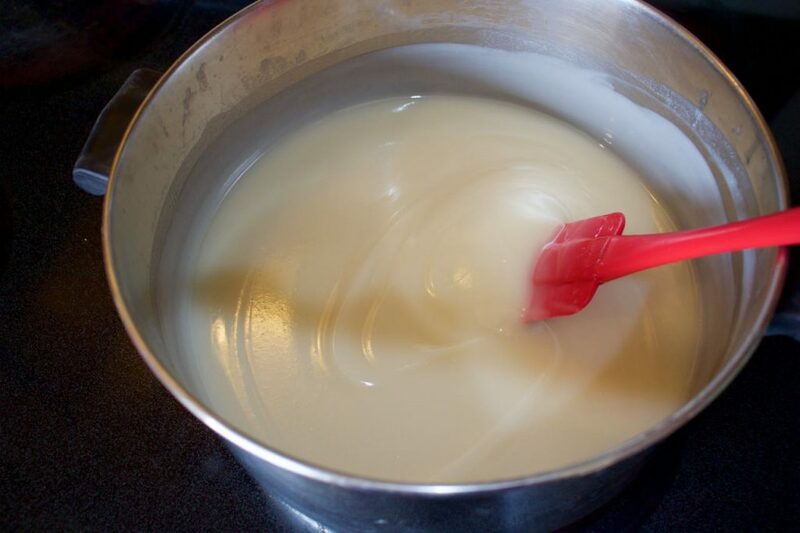 The swirls that are lighter colored on the right contain vanillin and the darker areas do not so as it dries the light areas should turn darker than the rest. 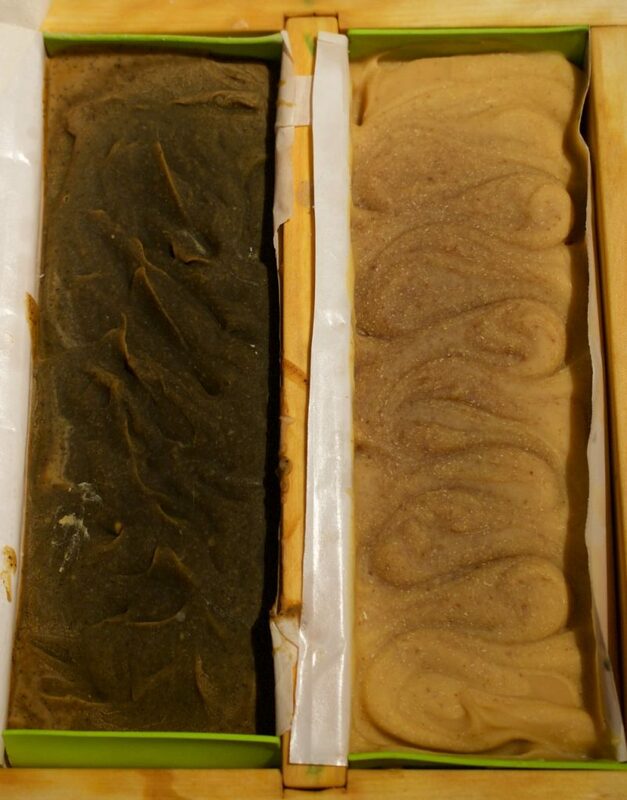 The coffee soap has gelled all the way to the edge, while the oatmeal is a little behind and only the center has darkened. Once gel starts I keep it insulated so that it will gel all the way through.